Freshwater Fishing Tips and Tricks | Don't miss out on these fishing tips! The adrenaline junkies love big game saltwater fishing, the die-hards love ice fishing, and the artists paint metaphorical masterpieces with their fly fishing, but the philosophers and professors, the day dreamers and the family types love cast fishing for freshwater fish. Here’s our top freshwater fishing tips and tricks. There is an old Chinese proverb “Give a man a fish, and you will feed him for a day. Teach a man to fish, and you feed him for a lifetime”. Well, when you consider that the Earth is covered primarily with water it becomes easy to see why knowing how to fish is a skill that everyone should have. So no matter if you are just learning yourself or embarking on the journey of teaching a child to fish, cast fishing is a great place to start. Whether you are doing it alone for the solace it brings or bonding with a loved one or friend; we know that the best place to live life is on the water’s edge. That is why we have put together what you need to know to delve in, hook, line, and …….sinker! Where: You can cast fish in lakes and ponds, rivers and streams, as well as in reservoirs. You can do it from the shoreline or water’s edge, you can do it while wading out into the water, and you can even do it from a boat, bridge, or boardwalk. For the best places to fish check out our article on the Top Ten Fishing Spots. Since it is often the case that licenses are needed, and limits must be respected, a reputable fishing guide can be very helpful. When: Depending on what you are after, understanding things like seasonal lake turnover and water temperature in relation to the fish will better your chances of being successful. Seasonal lake turnover occurs when the surface and bottom water of lakes and ponds shift places. During the spring turnover, water warmer than 39 degrees falls and is replaced by cooler water from the bottom. With the fall turnover the water on the surface cools and is blown around by autumn winds allowing for a more consistent temperature throughout regardless of depth. This means that the oxygen levels are more uniform and in turn, lets the fish move about more freely. During the summer there is stagnation. In this instance, the sun makes the surface water warmer, but it doesn’t fall, creating layers of warm water at the surface, cooler water at the bottom and the area known as the thermo-cline in the middle. Fish love the thermo-cline for its oxygen rich yet cool water. Some fish like cooler waters and others prefer warmer waters. Oxygen levels also play a role in where to fish for what. So knowing what temperatures and oxygen levels the fish you are after like will make all of the difference in the world. For more help with this look here for a local reputable fishing guide. Fish tend to be morning people, ugh we mean fish. So get up and watch the sunrise to better your chances! How: For beginning anglers, we recommend that you try spin casting using an open face, closed face, or spin cast reel. It is easy and can be used with both light and heavy lures. Once you’ve mastered spin casting you can move up to bait casting. You will also need to know how to set the drag and hook as well as how to reel in and then clean the fish. With What: Casting for fresh water fish requires the right types of rods, reels, line, hooks, and bait or lures. A tackle box, net, and cooler will all come in very handy as well. Want to try it before investing money and time, then we can help you find the perfect reputable fishing guide to make your experience one to remember. 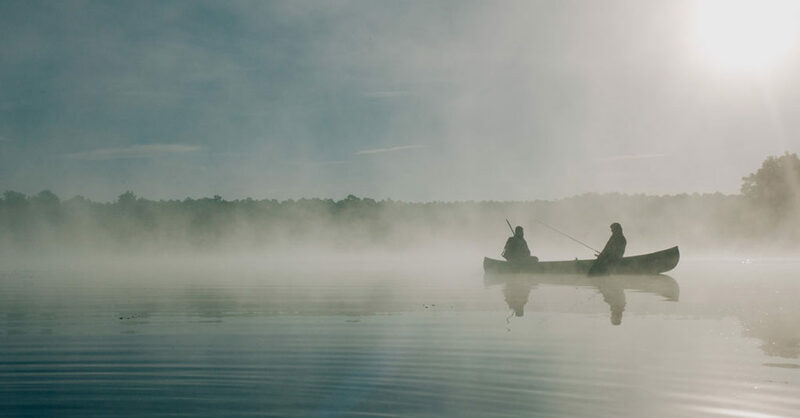 And For What: The most commonly fished for species include the largemouth and smallmouth bass, black crappie, channel catfish, walleye, yellow perch, and brook, rainbow, and brown trout. Other freshwater fish commonly caught are sunfish, bluegill, and northern pike. What you catch depends on where you are fishing, what time of year it is, and other factors like bait and lure types and of course good luck and patience. Now that you know the basics of cast fishing for freshwater fish take some time to not only enjoy yourself but to teach someone else how to have fish for a lifetime. So whether you use a reputable guide or decide to go it alone, we know that you will reel in some great fish stories while living life on the water’s edge!